Posted Apr 26, 2018 by Eds. Teachers in the U.S. have been branded “lazy” and accused of not caring about children in a series of online videos by the National Rifle Association (NRA). 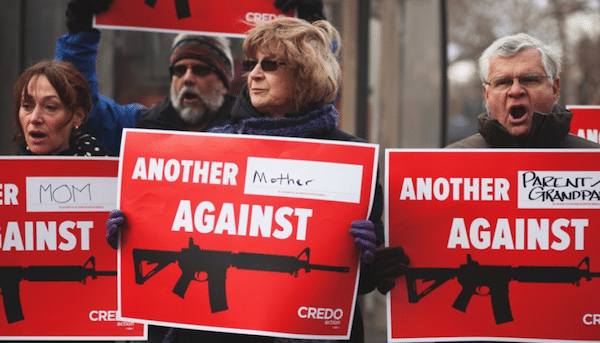 The attacks came after the American Federation of Teachers (AFT) sent a letter to U.S. bank Wells Fargo asking it to put children’s safety first and end its relationship with the gun lobbyists. Mr Stinchfield praised the bank for not “buckling” to pressure from the left over severing its ties with the gun lobbyists–Wells Fargo is seen as the bank of choice for the NRA, and it previously created a $28 million line of credit for the gun lobbying organisation. She urged Wells Fargo to follow the Bank of America, Citibank and others that have acted to end ties with the NRA following mass protests in the wake of the Parkland shooting, in which 17 people were killed. There have been at least 170 shooting sprees on U.S. campuses since the 1999 Columbine massacre. However, the NRA has threatened to sue administrations if they introduce gun-control laws.